Organization is vital to life because it gives you the ability to be productive, become more effective, reduces stress, allow a place for everything and saves time. Since 2005 Tailored Living/Premier Garage has helped over 7,000 homeowners in Northeast Florida transform their garage and closets into an attractive organized space. Tailored Living/Premier Garage is Northeast Florida's largest whole home organization company with more installations than any other local garage company. It is our mission at Tailored Living/Premier Garage to provide the highest quality of products and services to maximize storage in your garage and closet. At Tailored Living/Premier Garage you will be working directly with the owner, Tim Blin, who is a nationally recognized expert in the field of space planning and design. Tim will develop a personalized organizational strategy for your home to address your specific needs to fit your lifestyle. We will provide a detailed 3D design showing precisely how your garage and closet will look when finished. When working with Tailored Living/Premier Garage we can take care of every detail of your garage or closet makeover. We offer a full service experience. We can take care of everything from emptying the space, painting, providing on site storage, donating unwanted items and putting your belongings back in the space organized! Please give us a call to set up a free consultation with the owner to transform your garage or closet with our beautiful floor coatings, custom cabinets, closet organizers and more! We look forward to working with you. We offer full scope design services as our core business. We also provide a strategic partnership of skilled professionals adding further resources & capabilities as a single source of responsibility. 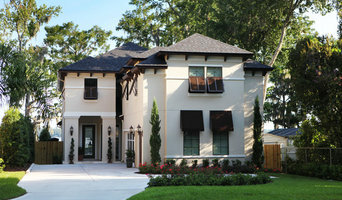 Rice Architect LLC is Florida's expert custom residential design firm. Our design style continues to seek unique aesthetic solutions that reflect our clients tastes and objectives. Based in Northern Florida, A Timeless Designz highlights the sophistication of Florida, with the flavor and a twist of California. 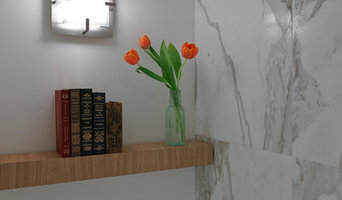 We specialize in full-service design, decorating and home staging. Redd Palm Designs is a Home Staging family-run company that services clients who are looking for a marketing edge to stand out against the competition in selling their vacant home or apartment! Looks To Sell was created to help sellers in an unstable market. Today we are able to use our passion for all things beautiful to help home owners and real estate agents create the perfect space. We approach every project with the creative insight of an architect, the mindset of a real estate agent, the job site know how of a contractor and the philosophy that everyone deserves good design. The Kirouac Group, LLC is a top-quality design-build construction firm that specializes in innovative and environmentally responsive custom homes, remodels and commercial projects in Florida. When you walk into a Finial custom home, it feels different than most. It's not just four walls and a roof, it's a home with a distinct personality. Building a custom home can be one of the most exciting, exhilarating experiences you will ever have. Imagine the fun and freedom of sitting down with a team of seasoned professionals and customizing the home plan you've always dreamed of. Some clients bring us a floor plan; some just bring their thoughts scratched on a piece of paper; others communicate their wish list. From the early planning stages, we communicate openly, alleviating surprises and creating an atmosphere of realistic expectations. 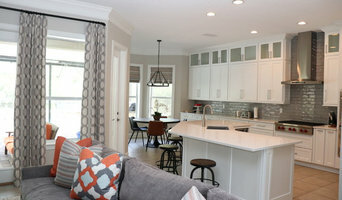 Our building process of taking your custom home ideas and turning them into your family’s dream home is what drives us and has earned us a reputation of integrity, honesty and superior craftsmanship with every custom home we build. So we ask you to put your trust with us and let the expertise and experience Finial Custom Builders delivers prove why we build custom homes our clients keep telling others about!